The Employees management software is part of the online Human Resources Suite can be bought as part of the HR Software package or as a standalone module. The software allows the employer and employee to save relevant and necessary employee details at the click of a button. The Employee management software has been added onto kiosks for companies using a central Kiosk system, is mobi friendly for users (non-admin), tablets and laptops or desktops. Some of the features on the Employee management module include employee history, qualifications, incident reports, contact details and next of kin information. Employee changes need authorisation by managers and HR administrators before they can be changed thus preventing employees deleting any relevant information. Records employee information, including start and termination date as well as reason for termination. Number of employees per division/department/branch is recorded. Automatic adjustment when employees are employed or resign/terminated/are deactivated. Archived records are kept even with deactivated employees. The employee management software feeds and connects to the Intranet Security software, allowing for intranet logins to be created easily. 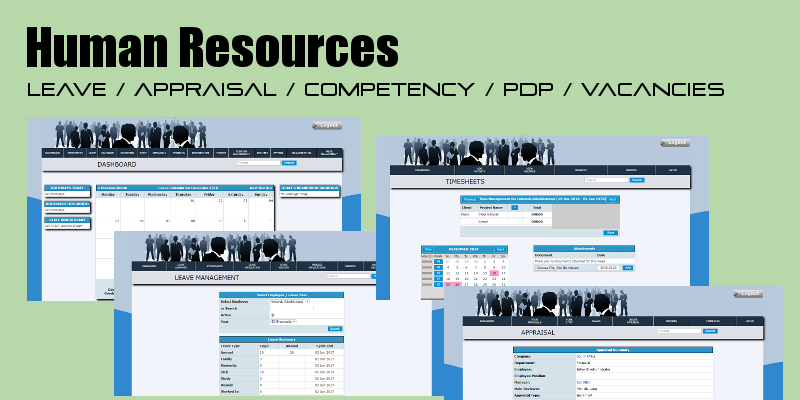 Managers are set for each division/department and follow through to other software modules eg Project managment. Easy Search for staff and employees. This is rights protected allowing employees to only see those in their department.